Apple inventor. Pixar Savior. Technology Visionary. I got emotional when I heard the news earlier this evening. Twitter was very busy with people posting the news. It’s still a shock, even though I knew of his ill health. Fifty-six is too young for anyone to die. Regardless of their contribution to society. But this one hit a little close to home on many levels. Not just for the love I have for my Apple products. But I lost my mom to a form of cancer. Granted, she lived to be 83. 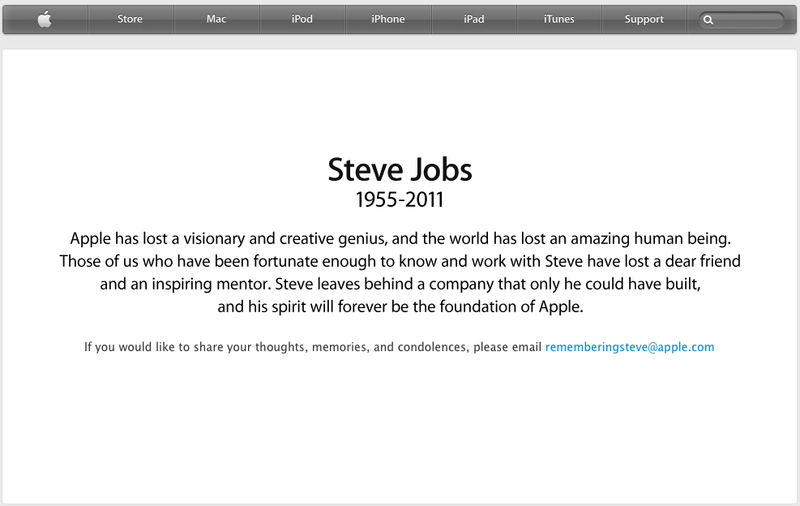 I was hoping the same long life for Mr. Jobs. I got my first Apple product in 1985. A Fat Mac… 512K with an external floppy drive. I used it to produce technical documentation for businesses in Southern California. I was already using PC clones as my main place of employment was a software store in Tustin, CA. But the Mac different. Unique. I used that Mac for a year until I moved to a Mac Plus. Since that time, I have always used some type of Macintosh in my personal life. Sometimes in business, but mostly for personal use, including my side work I’ve continued to do. In 1997, I made the jump from a clone Mac running OS 9.1 to a Mac mini running Panther 10.3 in 2005. Since then, I have converted many friends and family to Macs. Not only have the number of “hey, I’m running Windows and there’s an error..” calls gone down, it’s also allowed all of us to be more creative and have a system that simply works. Today, my Mac mini (2010), my MacBook Pro (2009), my MacBook Pro (2006) and my daughter’s iMac 17″ (2007) have all been work horses and rarely give me any grief. I rely on these systems today to do many tasks. In addition to numerous other Apple products that I love and use, it’s the iPad that I bought on day 1 in 2010 (which has since been sold and upgraded to an iPad 2) that changed how I access my data and all of the parts of my life. Thank you to Steve Jobs for creating Apple and for returning in 1997 to create not just one of the most powerful companies in the world, but to create products by thinking differently. Your legacy will live on in all of us. 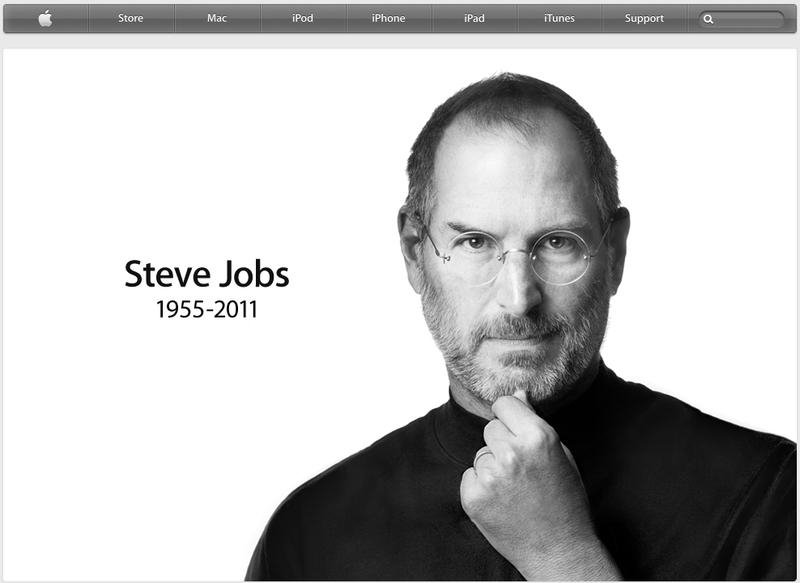 You will be missed, Steve. Yes, a very sad day indeed. Nice tribute and letter, Marty. i’m not even an apple owner and even i know this is a sad, sad time. His life affected all in lots of ways. I like the letter. I first used an Apple product in 1987 in middle school. Then I used my first real Mac my freshman year of college at Iowa State University. Then, in 1999, I bought my very first Powerbook. I’ve never looked back nor have I owned anything other than an Apple product ever since. Can’t see that ever changing either. Thanks, Kevin. I love seeing some of your older Apple products. The photo you posted of your Powerbook on Instagram was nice. Sadly, my first Apple wasn’t an Apple at all – it was a Franklin Ace 1000, an Apple clone. Wrote my first BASIC on that puppy in 1983ish. I used the heck out of the Apple II, IIe, IIc and all the pre-OSX stuff. Never got into the new versions even though I’m a Un*x geek at heart. Lion may be what brings me over after an in-store demo I had with Genius this past weekend where I got to ask “ok, I do *this* in Windows 7; how do I do it in Lion?” for about 20 minutes. My main problem is still how dependent one must be on the mouse in order to use a Mac. I want to be able to do 99% of everything with the keyboard. The mouse just slows me down. And of course, I love the iPhone and the iPad (hope to buy one soon). Whoa, I’ve used a Franklin before. Old school indeed. Hope to have another iPad owner amongst us bloggers.